There have been times in the past where I’ve written about my inability or at least my lack of skill when it comes to pure Racing Sims. Not unless they’re on the easier settings. Recent experience with DiRT Rally 2.0 had made it abundantly clear that my skill level still leaves much to want. Another thing that has been made clear is just how much attention to detail Codemasters has put into the game. Unlike the core DiRT titles such as DiRT 4 (you can read my review here), which are more accessible, DiRT Rally and its upcoming sequel are certainly more challenging to play and difficult to get into. They’re also considerably more realistic. 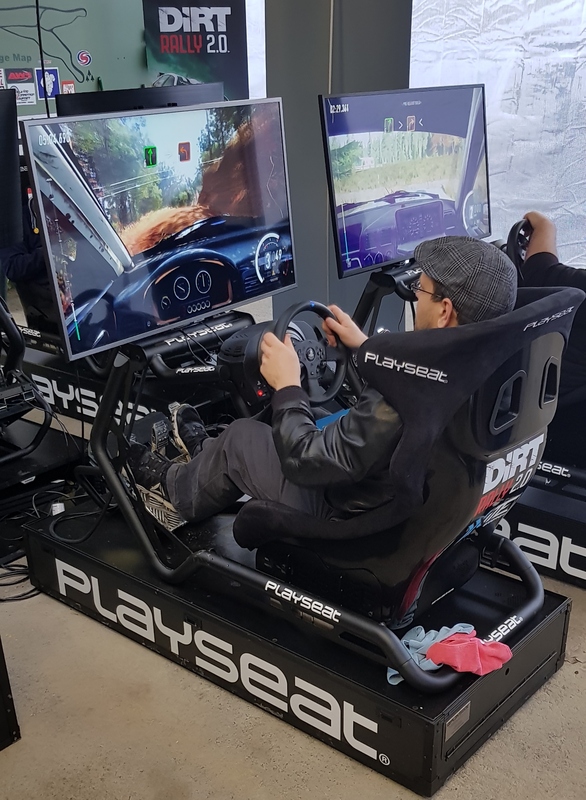 Prior to a recent event held by Codemasters and Koch Media at Phil Price Rally School, where I got to play DiRT Rally 2.0, on the PlayStation 4 using both the controller and a Playseat with the Thrustmaster T300RS as well as drive around in an actual rally car. The closest I’d ever been to rally driving before this was either playing games or seeing it on TV. Or driving my regular car in snow or a rural track. Not really close, is it? It showed. If there’s one thing that’s difficult with rally driving, which the game captures perfectly, it’s the handling and the way you control the car when going around a corner. When I say the game captures it perfectly, I literally mean that. The actions you take are the same – especially so using a wheel. The feel of the car, the force, it’s insane how real it is. You don’t exactly get the same input using a controller, thought the game doesn’t suffer from it. I know full well I’ll be going for the controller when I play the game on release. Why? Because it’s by far the most accessible route. Also, I’ll be using a polo, because the lead developer did say that it’s the easiest way to get into the game. Much like driving real cars, each car in the game, of which there are “around fifty”, all feel and drive differently. Starting off with an easier, lower powered car, to get the grip of things is the way to go. Each and every time I drove in the Subaru Impreza, I crashed. A lot. So much so that when there was a little time trial between the people at the event, I achieved around 7 minutes 20 seconds compared to the winners 3 minutes 20. In addition to the cars all acting differently, you have to compete with a variety of courses. Some of these are purely off-road, letting you see some absolutely stunning scenery while you’re at it. From the hills of Spain or through the forests of New England, even to Silverstone itself, you’ll find a lot to contend with. If you happen to be going on a circuit too, such as Silverstone, you’ll notice one of the major new features in DiRT Rally 2.0 – track degradation. This also applies to a normal course, particularly if you happen to be at the back of a rally which could have up to and over one hundred cars. There isn’t only the degradation of the track that will impact on your ride. From cars in front of you pushing the dirt line further out, to the formation of ruts, bumps and more, impacting how you’ll find each and every corner. You’ll also find that the weather now plays a larger impact than ever before. Another new feature is how water has an effect on the track. From what I’ve seen and been told, it isn’t the same real-time water feature as in Project Cars 2, but the formation of the track and where puddles and more are set to form will have a huge impact on your driving and the line you take. As will the car itself, naturally. Of course, there are the differences between cars as mentioned, but also how you set them up. All tuning options are at your disposal and also introduced into DiRT Rally 2.0 are tyre compounds. Soft, Medium or Hard are the options given, with Hard being a priority in the longer-form game modes. Soft tyres in a competition where you are limited in changes aren’t going to perform very well, they’ll wear out way too quickly. One criticism you could have with the first DiRT Rally was a skimping of content, of which there certainly is more here. 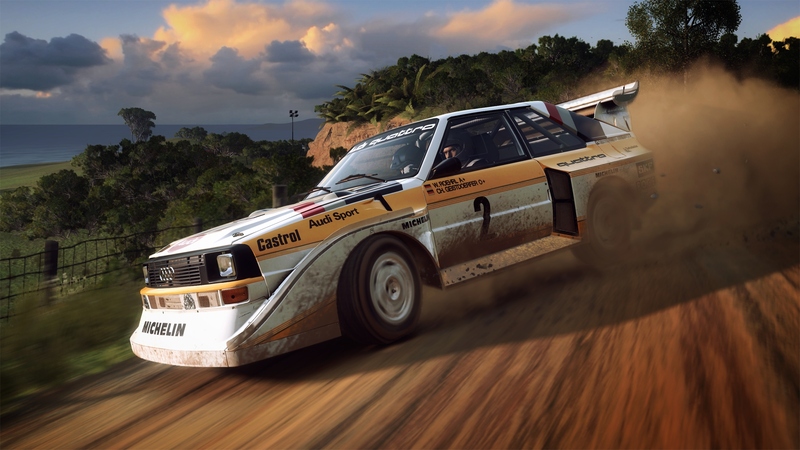 Naturally, a pure rally title isn’t going to feature the same number of courses, the tracks and city courses that you find it other general racing games – that simply wouldn’t be fitting with the theme – but DiRT Rally 2.0 is making up for this by featuring a number of game modes. These include a historic mode which allows you to race in events using cars from as far back as the ’60s. 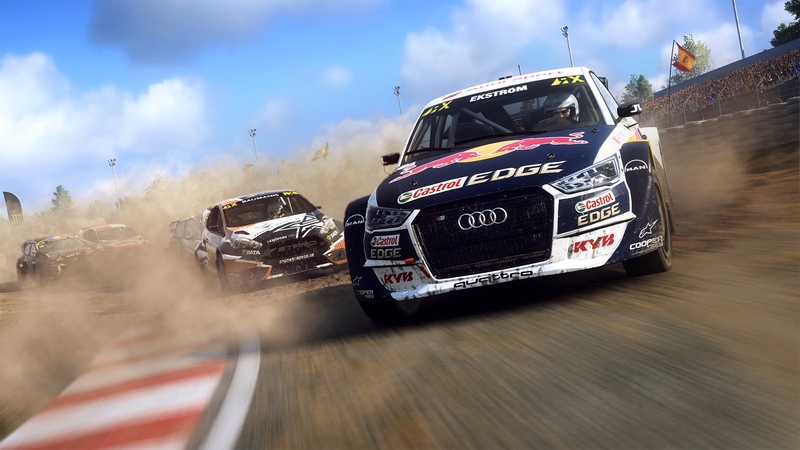 Codemasters also now has exclusive rights to the World Rallycross Championships, which are featured here in DiRT Rally 2.0. In addition to these two are a custom mode, letting you create your own race, and time trials. Naturally, following the success of the DiRT Rally Championships, this will make a return here somewhere down the line – though seemingly not at launch. Another aspect that has been improved is the visual and audio quality of DiRT Rally 2.0. The cars, tracks and backdrops look better than ever, from the Yellows of New England to the Greens of New Zealand. Plus, the audio has any surface you’re driving on, and a change of surface, actually sound as they’re meant to. You shouldn’t have any concern in hearing the difference as you move from gravel to dirt, as you run over shrubbery or that tree you’ve crashed into. Each car is exceptionally well detailed too, with one exception. This being car damage. Damage certainly takes its toll on the car when you’re trying to complete a race, especially so if you lose a tyre. That’s more realistic. What isn’t is how the car looks. I’ve seen them driving reasonably well with bends in the frame and the roof effectively caved in. A minor niggle and likely one still there for a bit of accessibility. I also imagine it’s very difficult to perfect too. 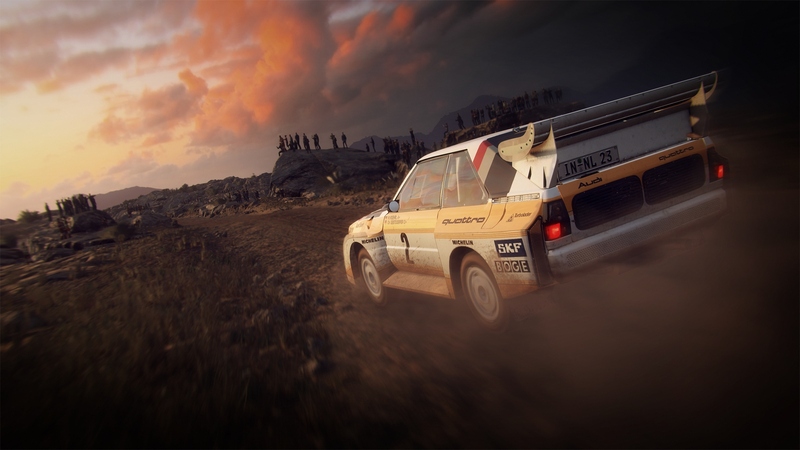 All things considered, DiRT Rally 2.0 is looking like a fantastic entry for racing simulation fans, particularly those who loved the first DiRT Rally. With more to do than before, a heightened sense of realism and a focus on the actual feel of the race, it’s got a lot to offer. Just how much is something we’ll all get to find out next month, on the 26th of February, when it releases for the PC, PlayStation 4 and Xbox One.